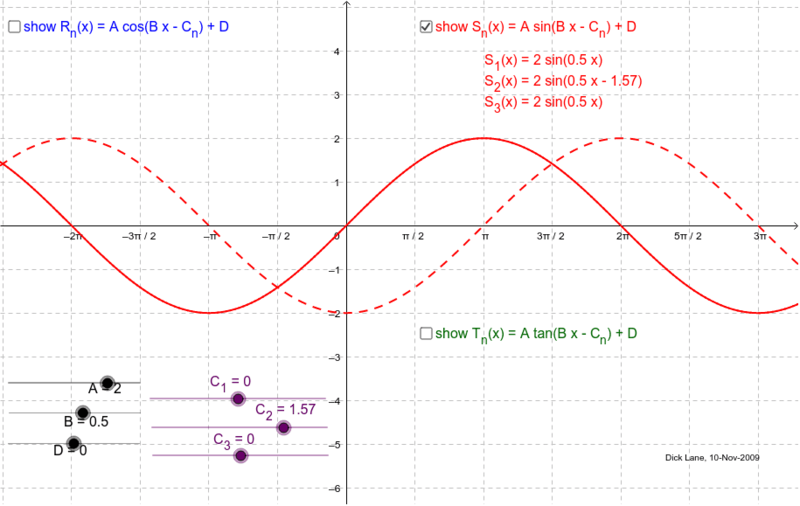 Graphs of A g(B x - C<sub>n</sub>) + D are shown where g is Cosine, Sine, or Tangent function. Sliders to specify values for A, B, D are at the left and sliders for C_1, C_2, C_3 are nearby. Checkboxes control which functions will be shown. Change the period by using one of the A, B, D sliders. Consider how the dashed and dotted curves are related to the solid curve. Where is the centre of enlargement?